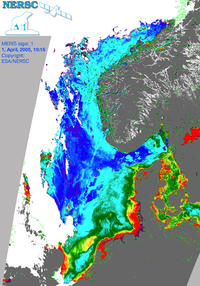 I work with the development, validation and analyses of the biogeochemical module of the Northeast Atlantic and Arctic Ocean component of the European Copernicus marine forecasting service. I have research experience in coupled physical and numerical ocean models where I have developed, implemented and analysed models for various marine environments. Through the years I have focused on the areas concerning primary production, nutrient cycles and limitations, plankton functional types, carbon cycle and biological carbon pump, and their interactions with the physical environment.